Diversity Native Seeds supplies bulk quantities of high quality Australian native plant seed. 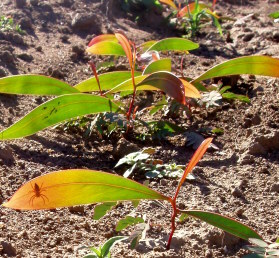 We provide the widest range and largest quantities of native species for mine site rehabilitation and other ecological restoration projects. In addition to all of the important tree and shrub species, our range includes diverse understorey species of native grasses and wildflowers that are increasingly important in revegetation projects. We have a comprehensive quality assurance framework that is unique in the native seed industry. We are Australian native seed specialists able to provide expert technical advice on issues such as species selection, regulatory requirements, and direct seeding techniques. Please note that we specialise in supplying large scale direct seeding projects, particularly in the mining industry. We are unable to help with small quantities of seed for home and farm projects. However since we stock a large range of species that can be otherwise very hard to source we do try to service plant production nurseries where possible.